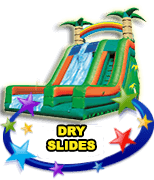 Looking for a Bounce House in West Palm Beach? 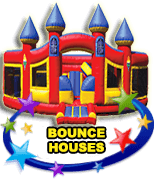 VOTED #1 Best Source of BOUNCE HOUSE PARTY RENTALS in West Palm for 2018! 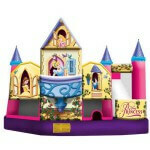 Perhaps you are planning a day full of princesses and other royals with a party theme fit for a queen. 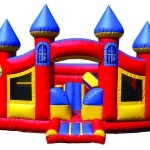 With numerous castle and prince/princess related fun bounce houses available in our inventory, you can offer guests a big, squishy playroom to bounce around in for hours. 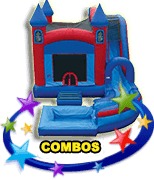 Consider our 17-foot 4-in-1 Queen Castle Combo, with a 12 X 12 bouncing area, a climbing ladder, a basketball hoop and attached slide. This royal castle even features a sun-screened mesh roof to protect the skin of little gentlemen and fair maidens. 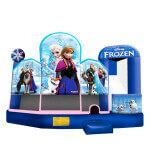 If your princess just happens to be a fan of Disney, why not take advantage of our 17-foot Disney Princess 3D 5-in-1 Combo. 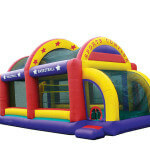 If a fun bounce house is what you are looking for, this is an ideal option! Your little one will be thrilled that Snow White, Cinderella, Sleeping Beauty and Belle has shown up for the party! 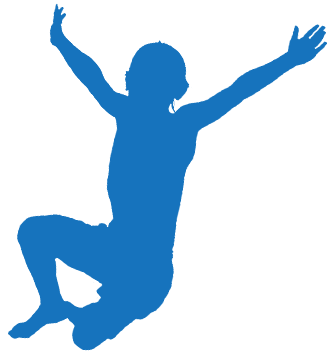 With a large jumping area, guests can jump off the floors and the walls in this unit! 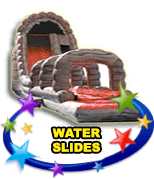 In addition, hours of enjoyment can be had thanks to multiple obstacles, basketball area, ladders and a slide. There is even a 3D Cinderella balcony! Be sure to have your guests dress up as their favorite Disney princess character to tie in this princess theme. 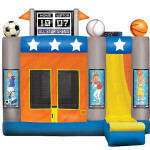 If pirates or adventures are more your child’s fancy, we have the perfect bounce house rental for your next celebration. 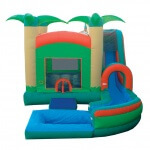 The 18-foot Pirate Combo features a massive bouncing area and a slide that can be set up dry or wet. 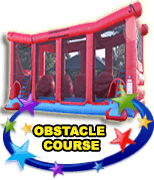 With a basketball hoop and other obstacles, little boys can run around and expend all of their extra energy! 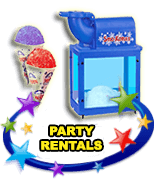 Don’t live in West Palm Beach or need a party rental in a different city?